Originally from Raleigh, NC, Daniel joined the US Army where he served honorably for eight years, where he played All-Army golf. 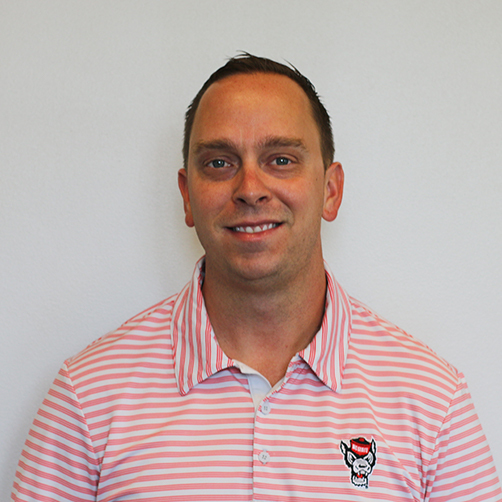 Daniel’s passion for golf continued when he settled back into North Carolina and began the Professional Golf Management Program at NC State University. After training for three years under the guidance of a Top 100 premiere fitter, Daniel obtained his Master Fitting certification from Golf Smith International. With the use of the most up-to-date ball flight tracking system, customers experience a golf club fitting that is unlike any other. Striving to make the fitting experience as realistic as possible is of utmost importance to Daniel. A full analysis is conducted outside with interchangeable equipment to ensure the customer is witnessing the process in real time. With extensive knowledge of golf club engineering, design, and construction, Daniel frequently builds clubs for customers to ensure the optimization and efficiency of the club’s performance.